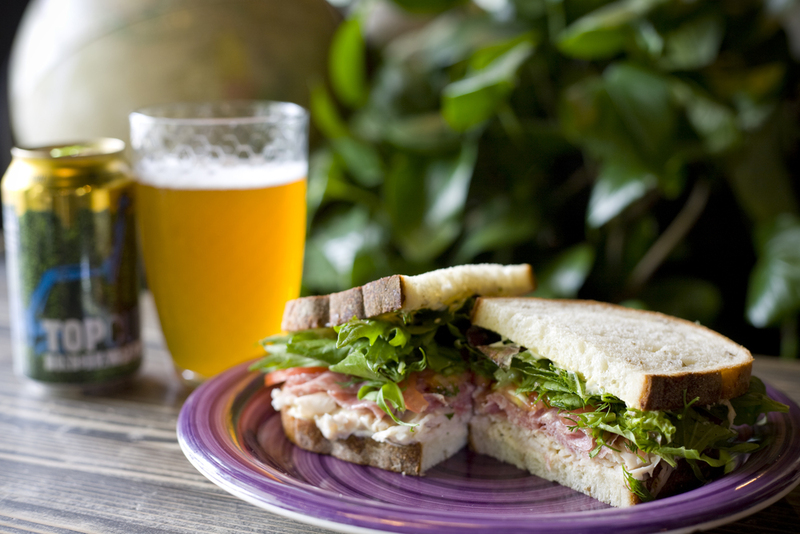 Tasty sandwiches on light sourdough from Macrina Bakery! Available at both locations, our delicious homemade sandwiches, cold or grilled! After 10+ years, Amber and some of her staff have become master soup makers. Our handwritten soup menu is our pride and joy! Soup is an art form at Freshy's. These soups are made with love, like nothing you'll find frozen at the grocery store. Our customers rave! We've typically have 2-5 soups available, served with toast, for here or to pick up. We can't post the menu, because every soup at Freshy's is different! But you might get lucky and find a turkey quinoa chili, one of Micah's many variations on the beer-cheese, or any of Amber's delicious creations! We keep baked goods, chips and more on hand for snack time! Cookies from Macrina Bakery, croissants and muffins from Standard Bakery, and specials in the Grab and Go fridge (West Seattle only so far) will keep you happy and full.